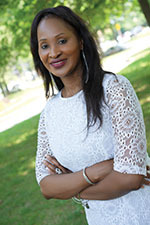 Dr. Oumou Traore is a special education teacher for the New York City Department of Education. Dr. Traore, who has taught every grade from K-12, found reading to be the most challenging subject for the majority of her students because their reading ability was well below grade level. Consequently, books or reading materials that had been assigned for them were simply too difficult. There is a lack of instructional materials designed with special needs students in mind. As a result, Dr. Traore created and tailored most of her teaching materials for them. This dilemma was the main reason How to Teach Reading Skills to Students with Disabilities: A Simple Approach for All Ages was developed. Dr. Traore believes special education students need organized, proven methods to help them become the best readers they can be. 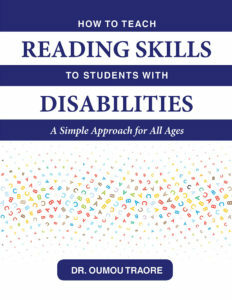 How to Teach Reading Skills to Students with Disabilities is just such a method. It is a compilation of essential everyday words, word families, and beginning-and-ending blends that students need in order to build a successful foundation in reading.